Posted by Suzanne Kai on Friday, 05 January 2018. Star Wars: Episode VIII - The Last Jedi has a new character named Rose Tico that fans are buzzing about. The character is the first major Star Wars role played by an Asian American woman. 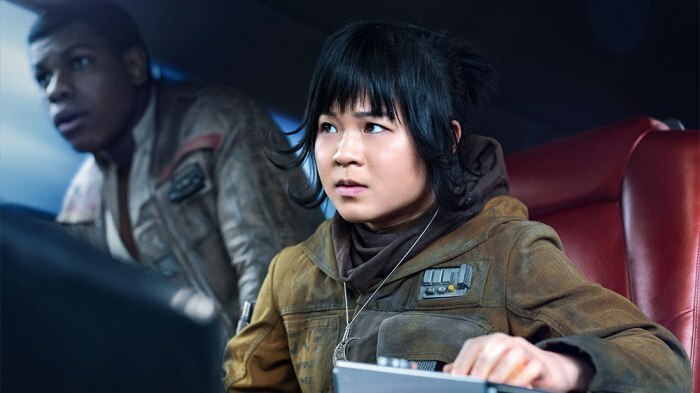 That woman is 29 year old Kelly Marie Tran, an actress of Vietnamese American descent from San Diego. After filming wrapped Tran took time off to travel to South Africa where she worked in an endangered wildlife reserve without electricity, internet or running water. Then she accompanied her family to visit her father's village where he showed her where he slept as a homeless street kid for seven years. “I could have had this life,” Tran told Buzzfeed News, “and now I have this one, and it’s purely because my parents dropped everything and moved to a country where they didn’t know the language [and] didn’t have any opportunities. I get very emotional when I see people who are able to identify with this character. That means a lot to me and I don’t think it will ever get old. It feels like a big deal because it’s so rare, I wish it wasn’t.